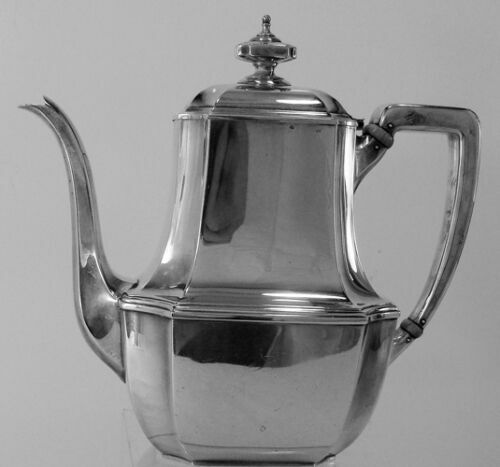 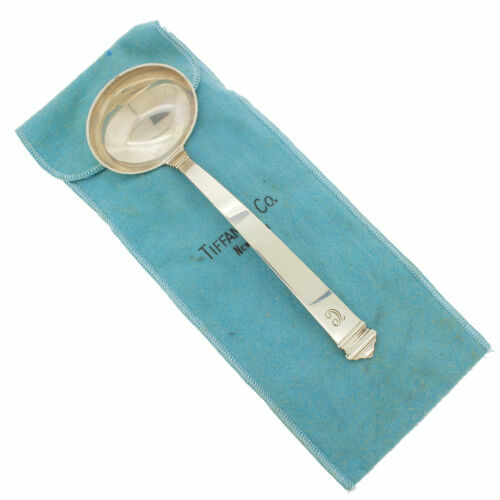 Buy: $69.0 FLAWLESS Tiffany & Co. HAMPTON Sterling Silver Butter Spreader 6 1/8"
$79.0 Antique 1934 Signed Tiffany & Co Hampton Sterling Silver Sugar Spoon 5 3/4"
$44.0 VTG 1934 Signed Tiffany & Co Hampton Sterling Silver Butter Spreader Knife 6"
$509.0 Hampton by Tiffany & Co. Sterling Silver Nut Cracker 6 1/2"
$159.0 Hampton by Tiffany & Co. Sterling Silver Gumbo Soup Spoon 7 5/8"
$5832.0 Tiffany & Co. 63 Piece Set of Sterling Silver Hampton Flatware Silverware Gift! 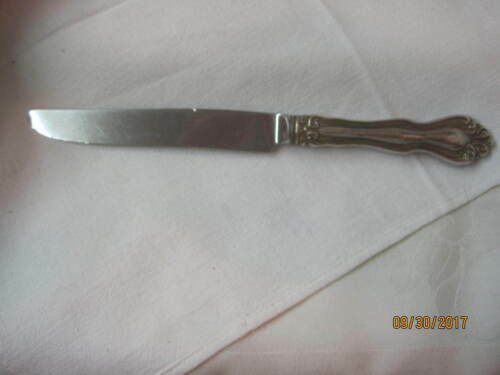 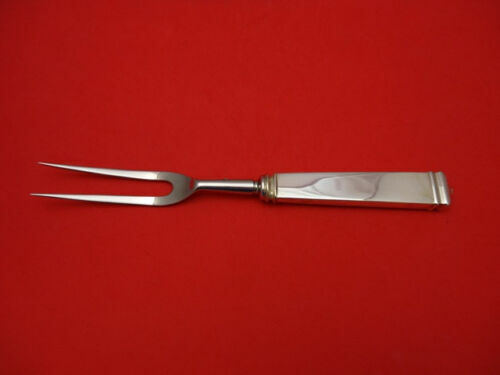 $259.0 Hampton by Tiffany & Co. Sterling Silver Roast Carving Knife 13 1/2"
$289.0 Hampton by Tiffany and Co Sterling Silver Cheese Server FH All Sterling 7"
$189.0 Hampton by Alvin Sterling Silver Tomato Server 7 3/4"
$209.0 Hampton by Tiffany & Co. Sterling Silver Preserve Spoon 7 1/2"
$139.0 Hampton by Tiffany and Co Sterling Silver Dinner Knife Blunt 10 1/8"
$1309.0 Hampton by Tiffany & Co. Sterling Silver Punch Ladle with Button 15"
$189.0 Hampton by Tiffany and Co Sterling Silver Serving Spoon 8 3/4"
$289.0 Hampton by Tiffany & Co. Sterling Vegetable Serving Spoon All Sterling 9 1/4"
$189.99 CASSEROLE SERVING SPOON 9 1/4" HAMPTON TIFFANY & CO. STERLING OLD MARK NO MONO. 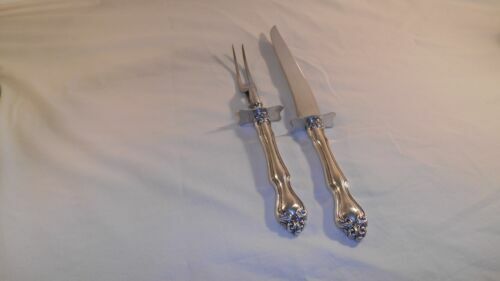 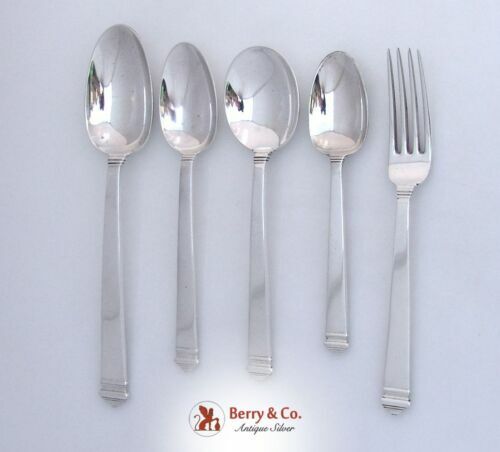 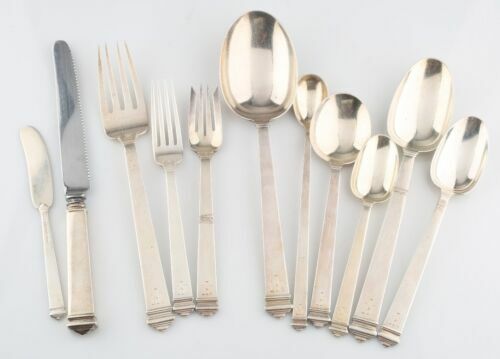 $289.0 Hampton by Tiffany & Co. Sterling Cold Meat Fork Pierced Splayed Tines 9"
$139.0 Hampton by Tiffany and Co Sterling Silver Dinner Knife New French Blade 10 1/8"
$195.0 (2) Hampton by Tiffany & Co. Sterling Silver Roast Knife 9-1/8"
$289.0 Hampton by Tiffany & Co. Sterling Silver Roast Carving Fork 10 1/2"
$64.0 Antique 1934 Signed Tiffany & Co. Hampton Sterling Silver Salad Fork 6 7/8"
$79.0 Hampton by Wallace Sterling Silver Dinner Knife Blunt w/Silverplate Blade 9 5/8"
$149.0 Hampton by Tiffany and Co Sterling Silver Fish Fork Original 7 1/8"